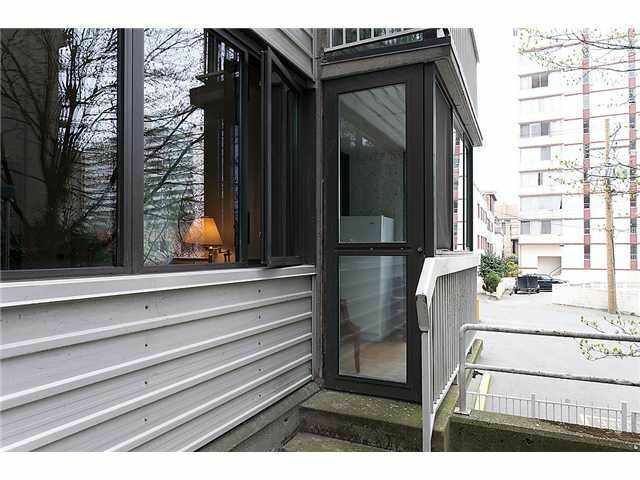 FABULOUS DENMAN LOCATION, LARGE 1 BEDROOM UNIT, 2 BLOCKS TO THE BEACH! This Great Unit Boasts TWO ENTRANCES, one from the Common Hallway & a PRIVATE ENTRANCE from the Exterior...Rare Find, Perfect for Pet Owners! This Condo has an UPDATEDBathroom with New Glassed in Shower and Granite Countertop. Wonderful OPEN LAYOUT with Walkthrough Kitchen into Dining Room, Large Living Room & a Master Bedroom that will accommodate a King Size Bed. Bright Enclosed Solarium adds approximately 30sf. One PARKING Spot & One Large Storage LOCKER included. PET FRIENDLY Building, 1 Dog or 1 Cat Welcome (no size restriction). First time on the market since 1987. Book your appointment today!